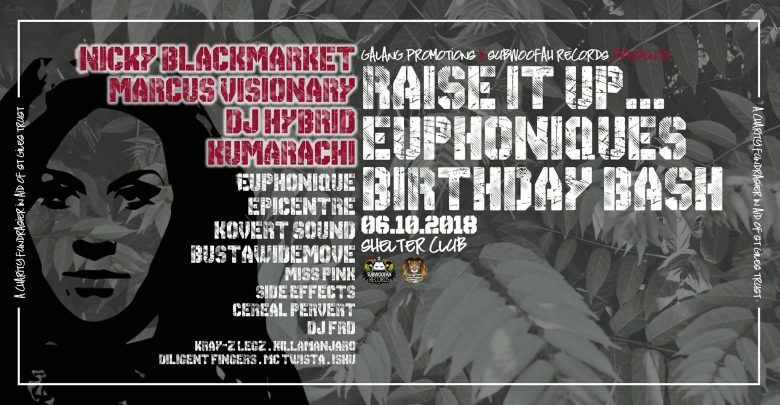 Galang Promotions and Subwoofah Records team up to present to you Euphonique’s Birthday Bash in aid of the St Giles Trust at Shelter Club, E2 / london / UK. Expect two rooms hosting some of the best up coming DJs and producers in the Jungle and DnB game, as well as some very special big name guests! True to the Galang Promotions ethos, all profits will be going to the St Giles Trust SOS project. SOS is an award winning service which works with vulnerable young people in or at risk of entering the justice system.